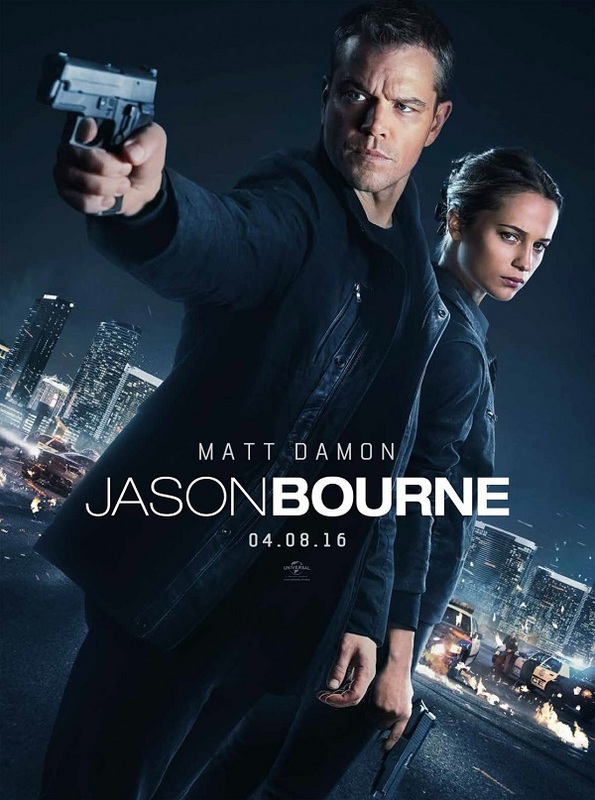 Jason Bourne is all about Bourne trying to find a secret about his past that is related to his father; we are gradually exposed to more and more of it through that nasty trick of the dreaded flashback. In between Borune and total recall stand the head of the CIA (Tommy Lee Jones), clearly Bourne’s nemesis, and another guy who is only referred to as Asset (Vincent Cassel, a French actor whose career in Hollywood is all about portraying brutal baddies). Standing between those poles is a new face in the CIA (Alicia Vikander of Ex Machina fame). Rest assured that in the process of finding the truth there will be much action, severe camera tilting of the type director Greengrass loves so much, and a stupidly large number of lucky saving throws (including things like Borune surviving a 5th storey fall). Incorporated into the core story is the theme of government bulk surveillance. Yours truly has strong opinions on this matter (not unlike Edward Snowden’s, if you care to know), so it is nice to see a Hollywood blockbuster not only acknowledge the matter but also agree with my esteemed colleague and I. However, at the same time it is clear the movie would work just the same with or without this theme, because - as we have seen so many times before - this time, it’s personal! Overall: Not a bad episode, but just another episode in the Bourne series. By now we all know what to expect and we get exactly what we expect. Which is to say, 3 out of 5 crabs from a movie that could and should have offered more than recycled popcorn.